100% PBR Airport Coming Soon! 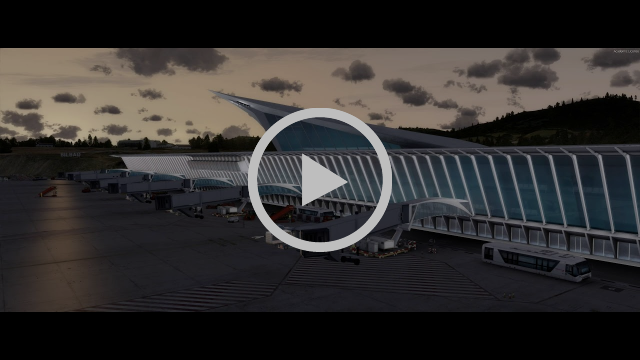 Earlier this week, JV teased the above images which have come from an upcoming airport project for X-Plane 11 and Prepar3D v4. We are working in tandem with the Turbulent team in order to bring you this new tech, and new workflows mean that we can release the P3D and XP versions very close together if not at the same time! This airport is our first to be built using 100% compliance to the correct PBR standards for all materials. If you look at the shots, you can see that the detail isn't just on the ground services equipment but also on the apron on which they sit. The incredible level of detail on the baggage lifter does not mean it is an FPS hog. The original model was made up of over 24 million polygons and that model was used to create the PBR map for a lower poly target. This ﻿means you get an amazingly detailed airport without the high-poly penal﻿﻿﻿﻿﻿ty. Just don't ask us which airport it is, because we're not confirming anything yet! New, more realistic AFCAD optimized to be AI-friendly. Please note FSX change list may vary due to technical & memory limitations.